A spokesman for the UN Relief and Works Agency for Palestine Refugees, UNRWA, said on Sunday that no one has the power to change the nature of the agency’s work, Anadolu has reported. Adnan Abu Hasnah made his comment in response to Israeli media reports which claimed that the US is planning to make such a change, cut its aid and redefine those currently classified as Palestinian refugees. The latter move would reduce the number of refugees from 5.9 million to just 500,000. Israeli media also claimed that Washington is looking for legal grounds to stop Palestinians from inheriting refugee status. Such a step, it was noted, targets UNRWA with a plan to transfer responsibility for the refugees to the Palestinian Authority. This proposal was revealed earlier this month by Foreign Policy magazine. It reported unnamed US officials saying that the move is intended to take the issue of the refugees off the table in any future negotiations between Israel and the Palestinians. 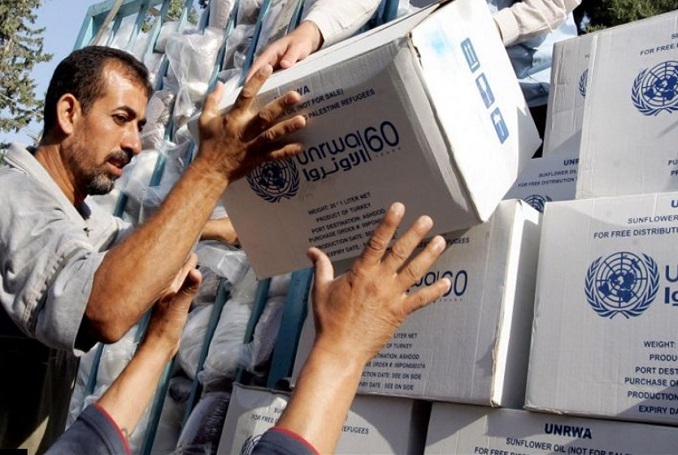 Be the first to comment on "UNRWA: No One Has the Power to Change the Nature of the Agency’s Work #Palestine #GroupPalestine #israelTerrorists #boycottIsrael"